1. All company policies and practices comply with the laws and rules of China. 2. The staff has more paid vacations than requested by Chinese labor laws. 3. Besides the paid vacations at one’s disposal, we even have one or two trips (in total 9-14 days) paid/arranged by the company annually. 4. We have flexible working time. People may work more during high season and less during low season. They can also choose to come to the office (and leave the office) a bit earlier or later than normal according to their own needs. In total the working time is less than the legal requirement. 5. Staff incomes are well above the average where we are located. A big majority of the company profit goes to our whole staff. We ensure everyone get what they are qualified for. Before fixing the salary each year,we always communicate with each staff to reach a mutually satisfied solution. 6. We provide a very healthy work environment for the staff which has been proved by a government environment organization. Our office furniture is of good brands. The chairs are ergonomically designed and help make people comfortable. 7. We always encourage our staffs to leave chairs every now and then; we have posters and videos regarding how to prevent cervical spondylopathy and Lumbar spondylosis; we learned Taichi together; we do sports games together. 8. We talk about safety instructions regarding electricity, fire, and elevator in our QQ group. 9. 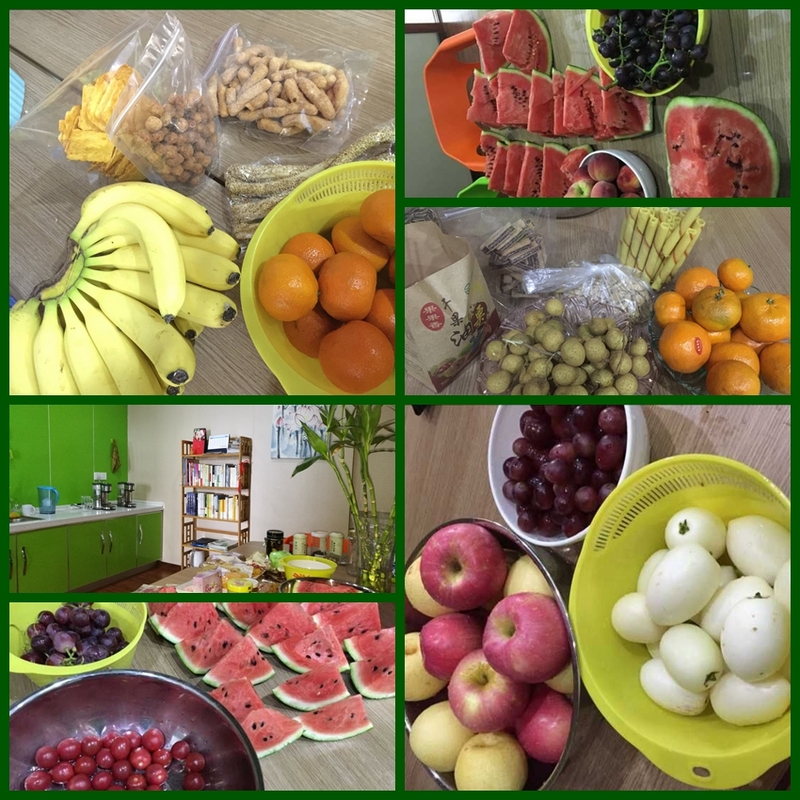 We have breaks for having fruits and snacks paid by the company every day. There is always abundant tea supply in the tea room of course. We give an allowance per staff to enable the team to have some fun meals/events together every month, within a department or together with another department. 10. New staffs get the training during work which is the best way to learn. We organize book discussion meetings, emergency handling workshops, emergency rescue training etc. We always help and learn from each other without any reservations. We work as an integrated team. 12. We are a small company and we communicate a lot in all levels. Staff members talk to their managers or directly to the general manager if needed. 13. Our company’s core value is "work happily, grow together". We spend more time with our colleagues than anyone else. There is no reason not to build a happy team. We believe with a happy, continuously growing team, the company will continue to be stronger and better, naturally.